Just before what would have been his 100th birthday, Billy Graham: An Extraordinary Journey was released on DVD and digital HD. The 72-minute video, which was broadcast nationally after Mr. Graham’s death on Feb. 21, tells the remarkable story of how God used a farmer’s son to share the hope of Christ with millions around the world. 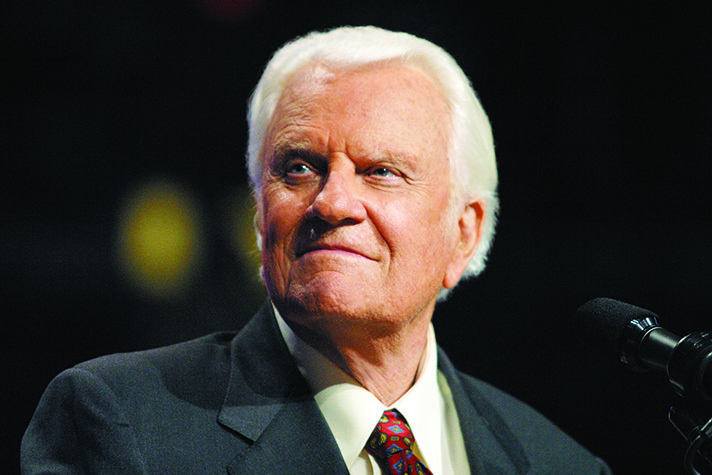 “It’s an extraordinary journey, how God took a young boy off a farm in rural North Carolina in the South and then from there to the ends of the earth,” said Franklin Graham, the eldest son of Billy and Ruth Graham and the president and CEO of the Billy Graham Evangelistic Association. 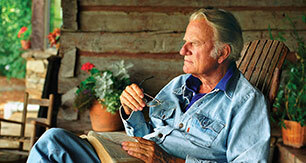 For more than 60 years, Billy Graham preached the Gospel of Jesus Christ around the world to 215 million people who took part in one of more than 400 Crusades, simulcasts and evangelistic rallies in 185 countries and territories. Mr. Graham served as a trusted spiritual advisor to U.S. presidents and world leaders and had an impact on the lives of many public figures. But he was perhaps best known for touching the hearts of regular men and women, most of whom never met him but were moved by God’s love during a TV or radio broadcast. Billy Graham: An Extraordinary Journey offers a personal, behind-the-scenes look into the life of the evangelist, who went to be with the Lord earlier this year at the age of 99. The film showcases Mr. Graham’s work during the Civil Rights Movement in the U.S., behind the Iron Curtain in Eastern Europe, and through many pivotal moments in world history. It also features interviews with prominent broadcasters and personalities, including Tom Brokaw, Larry King, Charles Gibson, Kathie Lee Gifford and Brit Hume. You can order your DVD from the Billy Graham Bookstore and many major retailers, or order the digital version in HD from the BGEA, iTunes, Amazon, Vimeo or Christian Cinema. In addition to An Extraordinary Journey, the Billy Graham Evangelistic Association has also produced a new half-hour video called The Message Lives On. This moving documentary is currently airing around the country. (Check broadcast listings.) You can also watch it for free online. The Message Lives On delves into some of the greatest challenges Billy Graham faced as he followed God’s calling to share the Gospel of Jesus Christ throughout his life. Next Post I have been Having a gigantic Writers Block with my Memoir.